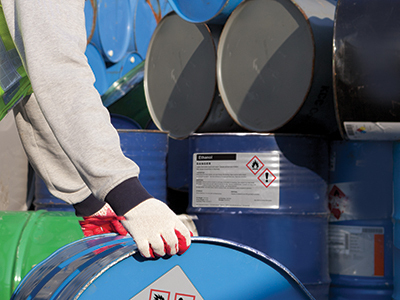 The labelling of chemical drums and containers require identification labels with high resistance to chemicals, heat, water, abrasion, and heavy weather conditions. This is especially important due to GHS and BS5609 regulations that require information to remain legible from manufacturing to shipping to end use. IIMAK offers a variety of thermal transfer solutions with the necessary resistance to meet GHS requirements. Our full resin ribbons have undergone BS5609 certification tests and are approved with specified base materials to meet the most demanding chemical drum label applications. Use existing equipment to add variable black information to pre-printed labels or utilize IIMAK’s colour ribbons for colour printing on demand. DC400 Colour Resin Premium resin colour for use in standard barcode printers and multi-head printers. Available in 5 spot colours. Premium resin colour for use in standard barcode printers and multi-head printers. Available in 5 spot colours.